Dental emergencies come in many different forms. They may strike at a moment’s notice, such as if you fell and cracked a tooth on the side walk, or they may gradually develop over time in the form of a bad toothache until the pain is unbearable. 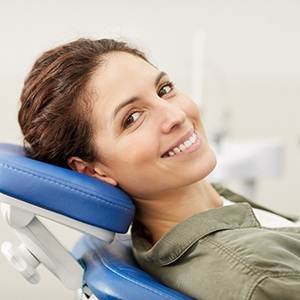 Whatever your situation is, one thing is certain – you have Jacksonville Complete Dentistry’s support through and through. Please don’t hesitate to contact us right away for emergency assistance; our doctors will do all they can to make time to see you as soon as they possibly can so that you receive much-needed relief from your injury and/or pain. Why Choose Jacksonville Complete Dentistry for Emergency Dentistry? We hope to not only care for your dental emergency, but also get you started on the path back to a healthy, happy smile as soon as possible! We treat emergencies in Jacksonvile, Baymeadows, Southside and all surrounding areas. 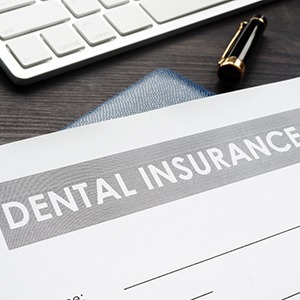 Both Dr. Johnson and Dr. Barker have years of real world experience as practicing dentists, and in that time, they have basically seen every kind of dental emergency you can imagine. That means, no matter what your issue might be, you can trust that they have helped patients successfully navigate through it before. Plus, they’re also constantly investing in our office so we always have the latest technology, ensuring that we’re able to get to the root of a patient’s problem and relieve their pain as quickly as possible. 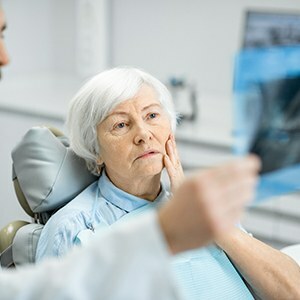 Broken and knocked out teeth are extremely common dental emergencies, and they’re often the result of sports-related incidents, motor vehicle accidents, or just a clumsy fall at home. In any case, we’re able to fully repair extremely damaged teeth and even replant ones that have been completely dislodged. If you or a loved one ever find yourselves in this kind of situation, be sure to recover as much of the tooth/teeth as you can and give our office a call as soon as possible. We’ll let you know what to do next so we can save your smile! Rinse and floss around the tooth to remove anything that might be stuck and causing the pain (like a leftover piece of food). If this doesn’t solve the problem, give JCD a call. Until you can make it to our office, a cold compress on the face or OTC-pain reliever can help manage any discomfort. Even just the mention of “root canal therapy” can send shivers down a patient’s spine – but is this essential procedure really that scary? 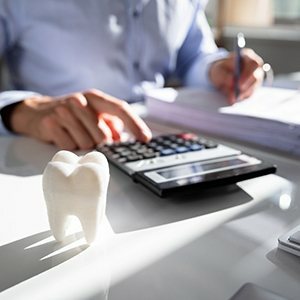 In truth, the pain that most patients associate with it is the discomfort of having a tooth that’s heavily infected, which is what root canal therapy is designed to treat! During this process, our dentists will access the inner canals of the tooth and clean them out thoroughly, replacing the infected tissue with a biocompatible material and then sealing the structure shut. Not only can root canal therapy rescue countless teeth from extraction, but it also enables patients to continue enjoying these very same teeth for many years to come. When it comes to your priceless teeth, our team will do everything we possibly can to help you keep them healthy and strong. Despite our best efforts, though, extraction can become a necessity in certain situations, such as when you’ve experienced a traumatic injury or an area of decay has become so severe that regular restorative procedures (fillings, crowns, etc) can’t rebuild what’s been lost. Whatever your personal circumstances are, one thing is certain – you’ll always be treated comfortably and compassionately here at our practice. 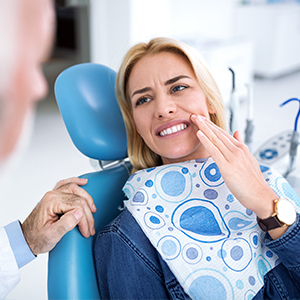 Your third molars (also known as “wisdom teeth”) are the last teeth to emerge past the gum line and into your confident adult smile – but more often than not, this arrival isn’t exactly a happy occasion. Because of the limited remaining space in the mouth, wisdom teeth can easily cause dangerous overcrowding, infections, cyst formation, damage to nearby teeth, or even become impacted (trapped in the jawbone). If our doctors determine that these situations are likely to occur or have already occurred with the help of digital X-rays, we can remove these teeth for the sake of our patients’ safety and ongoing wellbeing.